Stephen Kingsmore, M.D., D.Sc., president and CEO of Rady Children’s Institute for Genomic Medicine at Rady Children’s Hospital-San Diego, now holds the official Guinness World Records® designation for the fastest genetic diagnosis, for the results that he and clinicians published just seven months ago. The feat is being recognized today at a celebration in San Diego to mark National DNA Day. Dr. Kingsmore led a clinician team that studied 35 critically ill infants less than 4 months old. Of those 35, the researchers made a genetic disease diagnosis in 20 of the infants through genome sequencing of the newborns and their parents within 26 hours. That timeframe is nearly half of the previous 50-hour record Dr. Kingsmore set four years ago, an accomplishment recognized by Time magazine as one of its Top 10 Medical Breakthroughs of 2012. The smashing of the previous record was made possible through advances in the technologies used in generating the diagnoses. One such technology was Edico Genome’s Dynamic Read Analysis for Genomics (DRAGEN™) Bio-IT Processor. The data-crunching computer chip saved over 20 hours of work by speeding genomic data analysis from 22.5 hours to 41 minutes—while also achieving high sensitivity and specificity of 99.5%. The clinicians also replaced manual interpretation and reporting process with in-house VIKING software program, saving three hours; and optimized in-house software, RUNES (Rapid Understanding of Nucleotide variant Effect Software), to more quickly detect mutations in gene sequences, saving two hours. The technologies were applied to diagnosing single cell genetic diseases. 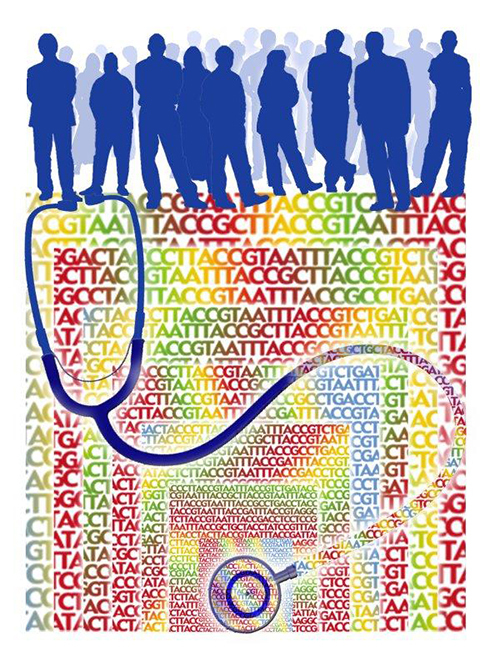 A single causal gene is now known for more than 4,500 genetic diseases—most of which are diagnosable by whole genome sequencing. Details of the technologies, and their use in yielding diagnoses within 26 hours, were published in the journal Genome Medicine. The study included discussion of the possibility of timeframes shorter than 24 hours for diagnosing genetic diseases. Customized robotics, for example, could reduce sample preparation time from 7.5 hours to 2 hours. How far into the future is a sub-24-hour timeframe? Dr. Kingsmore achieved the new record while serving as executive director of Medical Panomics at Children’s Mercy Kansas City, but will implement the enabling technologies at Rady Children’s Institute, named for La Jolla, CA, philanthropists Ernest and Evelyn Rady, who have donated $120 million.